Regardless of affordability, some cars are masterpieces. Their design, performance, and sheer speed command respect and admiration. While these cars are driven and owned by the elite and famous, people worldwide feast their eyes on the most expensive cars in the world. These breath taking cars range in age and price yet their commonality is their elite factor. Without further adieu, here are the thirty most expensive cars in the world for 2016 including eight auction race cars. With a limited 918 cars in production, the Porsche 918 Spyder is a limited edition unto itself. Porsche created the Spyder as a hybrid model featuring electric, hybrid, sport and race modes. It was the debut to hybrid hyper cars. The Porsche 918 Spyder sports a 4.6litre V8 engine creating a symphony of power and beauty. The V8 engine alone powers 608bhp while its two electric motors add another 279bhp. The car’s main source of power comes from the electric motor situated behind the driver. This motor generates a thrilling 154bhp alone. Combined the Porsche 918 Spyder generates an impressive 887bhp and 944lb-ft. of torque. The Spyder’s top speed is that of 217mph. This beauty reaches 60mph in 2.5 seconds and is light, fast and all together out of this world. With the Porsche 918 Spyder you ride for power, speed and sheer bliss. The SSC Tuatara may not be the most expensive car in this list however it does not disappoint in speed and appearance. Within 9.75 seconds this futuristic, sharp looking car reaches a thrilling 144mph. Its twin-turbo chargers providing incredible responsiveness as its driver swiftly moves through all seven gears at the push of a button. Under the hood of the SSC Tuatara lie twin turbo chargers, an electronic sequential port, dual-water to air intercoolers and a sequential, multi-port fuel injection. This incredible car redlines at 9200rpm and reaches a top speed over 276mph. 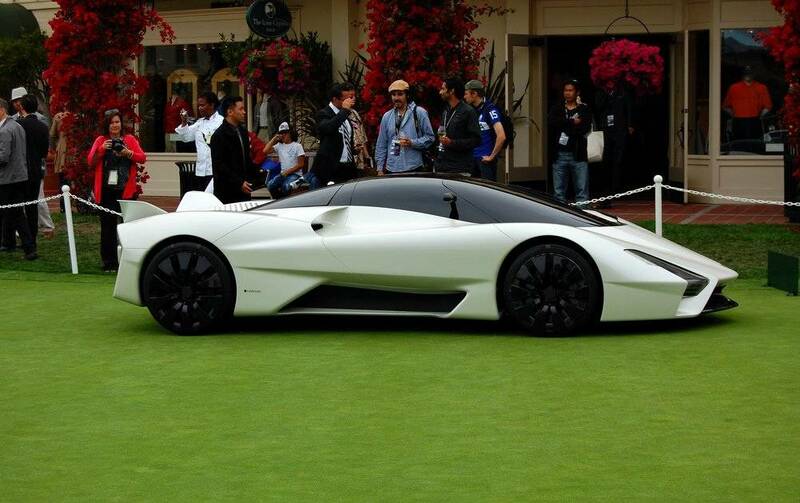 The appearance of the SSC Tuatara is that of classic and sleek enhancing aerodynamics and slip-stream. 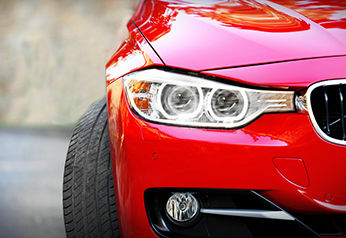 Along the sides of the body are the dihedral stabilizers and the front of the car is graced by carbon-fibre headlights. The interior of this beauty is home to HUDs (Heads-Up Displays) with the driver’s HUD featuring a menu and command console. One word best describes the Rolls Royce Phantom Serenity - luxury! This luxurious car incorporates only the finest hand-woven silk into its interior design thus redesigning the outlook of luxury car interiors. The idea to use silk came from the Japanese junihitoe, a 12-layered silk robe that often dressed only the most prominent of Japanese women. Silk was only the beginning of the interior journey. Rolls Royce went on to incorporate smoked Cherrywood into the cabin’s interior as a means to accentuate the silk. Other products used for the interior include Arctic White leather, Mother of Pearl and Arctic White carpet. What could be better than driving a car designed to be on the country open roads and the racing track? 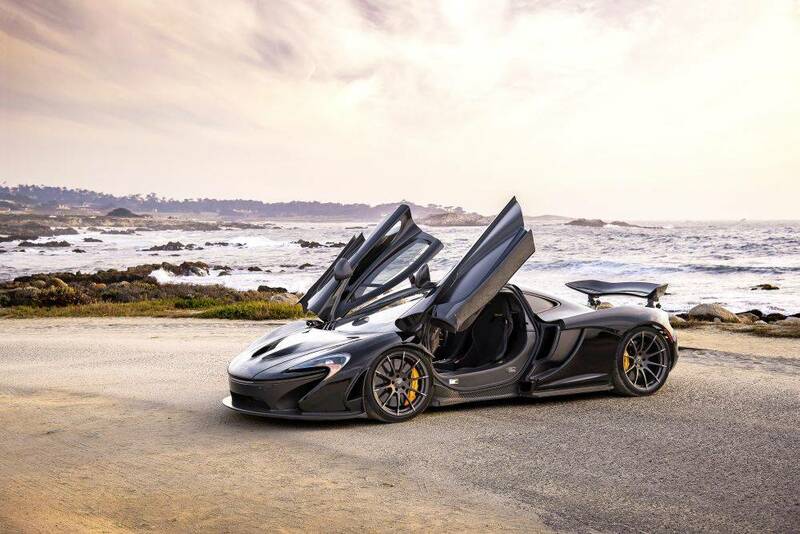 McLaren took on this challenge and produced the McLaren P1. A small 375 vehicle production took place when the McLaren P1 was released into production. Within this hybrid supercar, a driver can push boundaries, dream of driving in Formula 1 and sit back with sheer satisfaction as the sound of brute power echoes for miles around. Within 2.8 seconds the McLaren P1 reaches 62mph; by 16.5 seconds it has reached a whopping 186mph. The advancements of technology do not stop here. The McLaren P1 holds a 3.8litre V8 engine providing 727bhp while the car’s electric motor adds an additional 177bhp to the mix. The McLaren P1 is also home to a hydro-pneumatic suspension and electro-hydraulic powered steering. This car is worth every dime. 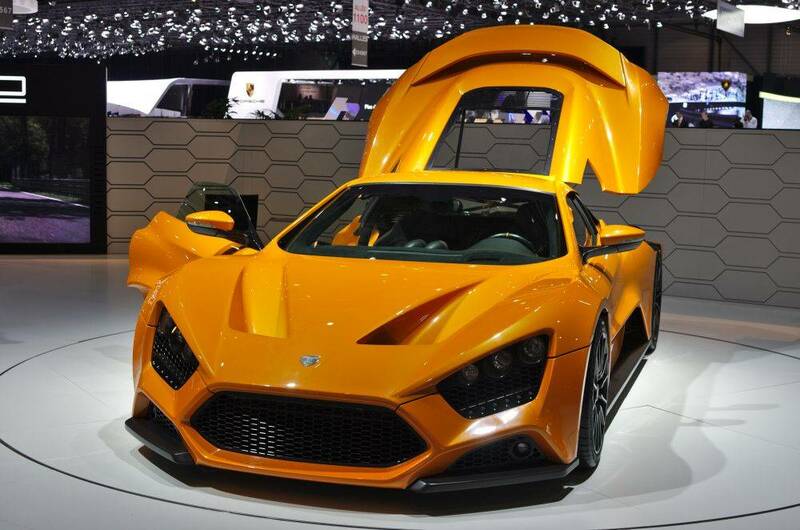 The Zenvo ST1 brings to life the ferocity of the racing track. This incredible car allows your elite day-to-day commuter to revel in the brute force of the Zenvo ST1. With three modes normal, sport and race, the driver of this muscle car is able to adapt their driving style to match their mood for the day. Featuring a supercharged and turbocharged 7.0litre V8 engine and a manual six change gearbox, the Zenvo St1 flaunts a powerful 1,104bhp and 1,054lb-ft. It reaches an incredible 233mph; hitting 0-60mph in 2.69 seconds. The interior comprises carbon fiber set against fine leather and Alcantara while allowing just enough space to seat a driver and a passenger. Mostly, the interior is more down-to-earth than some of the other supercars. However, what makes the Zenvo ST1 so exclusive is the fact that only 15 of these magnificent cars can be found worldwide. Thus, when you purchase the ST1 you are purchasing exclusivity and raw power. The interior of the Aston Martin One-77 is designed to maintain a driver’s center of gravity. The seats are deliciously low. The lines of the car are elegant, smooth, and elongated. The steering wheel although out of place in some regards is steady and natural to the touch. Everything about the One-77’s interiors speaks of a racing experience. The car hosts the evolved 7.3liter V12 engine, an improvement on the previous 5.9liter engine. It powers a minimum of 700hp and 516lb-ft of torque. Although slower in reaching 60mph in 3.5 seconds compared to some of the other supercars, the One-77 achieves a 200mph top speed. The fastest? No but a beauty nonetheless. 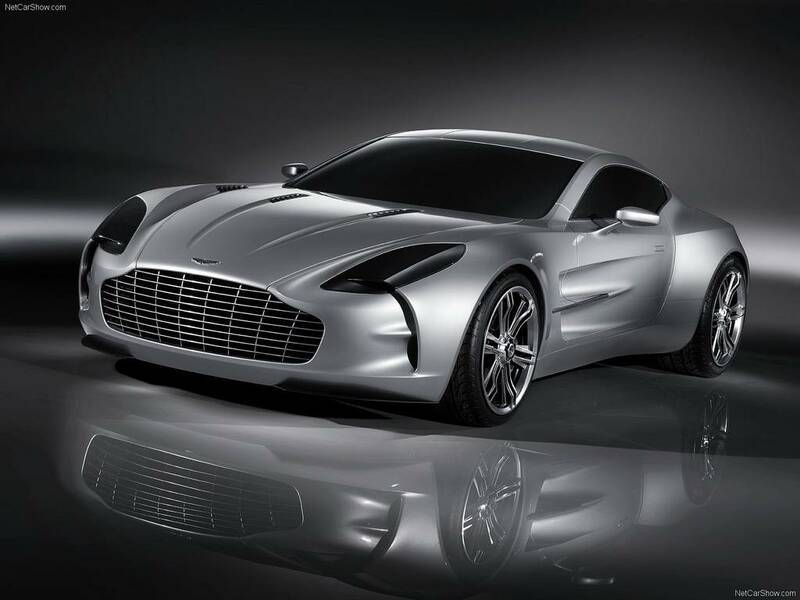 The Aston Martin One-77 was built 77 times for 77 millionaires to sport the car in their luxury filled lifestyles. While exclusive and stylish, the One-77 remains ferocious. You need only start the engine to hear the roar and savagery of this tasteful car. A harmony between racing power and comfort was achieved with the release of the Pagani Huayra. Named after the South American wind god, Huayra Tata, this gorgeous Italian car is ideal for those who enjoy standing out, being different or reveling in unknown exclusivity. Why have a Ferrari or a Bugatti when you can have the Huayra? This car is secure in its identity and its driver equally so. The Pagani Huayra makes for a comfortable yet fast drive. A mid-engine car with a 6.0Litre V12 engine and two turbos this car blasts a 700bhp and 728lb-ft torque. It reaches 0-62mph in under 3.5 seconds with a top speed ranging over 230mph. Speed and adrenaline are the name of the game. The Huyara perfectly balances petite size, brilliant riding experience, excellent steering and fantastic breaking. This car loves its owner as much as its owner loves it. This spectacular Swedish dream car holds a 5.0litre V8 engine that quickly goes from 0-60mph in a short 2.9 seconds. This action-packed car holds 1140bhp and an enticing 885lb-ft of torque. Its speed caps at 273mph while coming to a complete stop in 12.6 seconds. The Agera R seats two people making it a perfect ride for a fast zip into the sunset. Carbon fibre graces the interior of the car assisting in weight reduction. The driver has access to the car’s speed, fuel pressure, temperatures and horsepower generated by the Agera R at any point in time. This incredible car comes with all the bells and whistles. That being said, safety is a top priority thus airbags, stability control, and various handling modes have been incorporated into the supercar’s features. 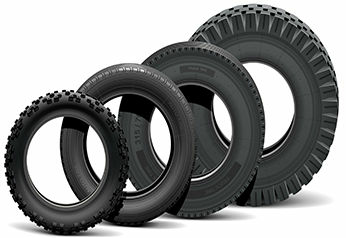 Drivers can ride in style while experiencing brute force with ample safety. The world’s fastest car reaches a thrilling 250mph in a mere 20 seconds with a top speed of 273mph and a 1345lb downforce kicks in at 160mph. 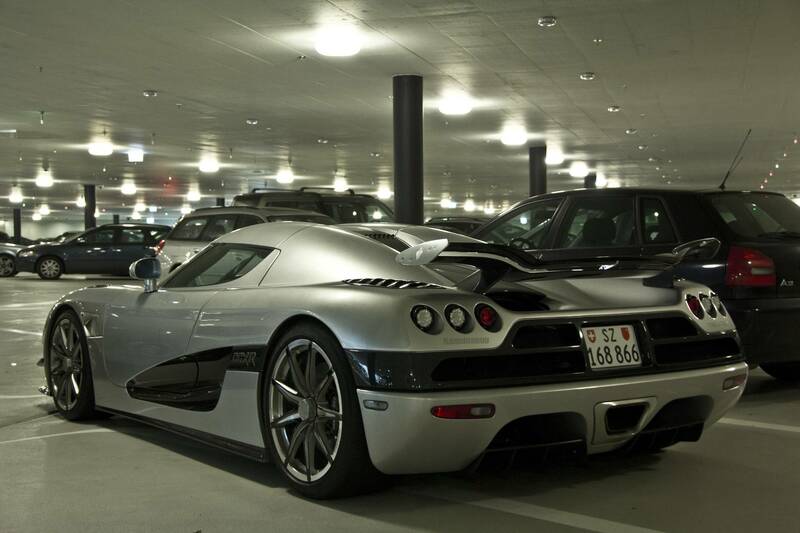 Ladies and gentlemen, the Koenigsegg One:1! This incredible car’s carbon fiber has been designed to be 40 percent lighter than that of the Agera and features active aerodynamics. It has a seven-gear gearbox with an incredibly fast speed transmission. After all the Koenigsegg One:1 was designed to meet customer requests for a car that could excel on the track and run on the general roads. 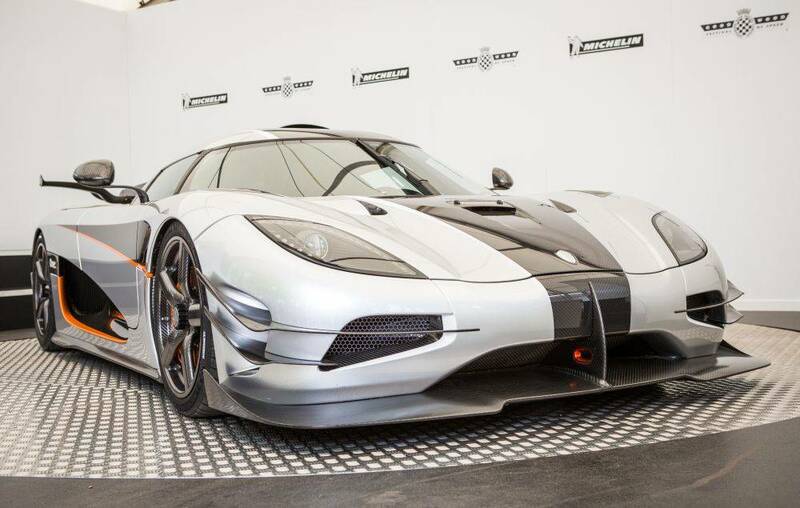 Since the One:1 was designed to primarily be on the track, Koenigsegg decided that the suspension, GPS and cell-phone would work together giving the driver the best racing experience and the stats to go with it. The engine is a 5.0liter twin-turbo V8 that powers 1340bhp. The twin turbos help the engine reach 740lb-ft torque from 3000-7500 rpm. Genius doesn’t even begin to cut it. 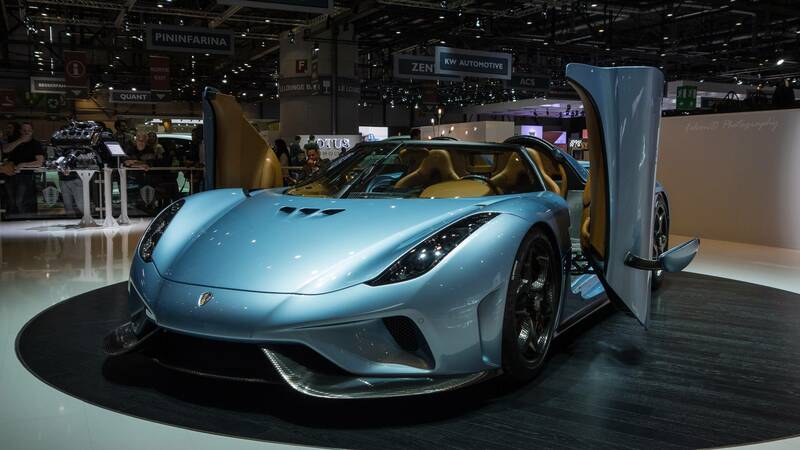 The Koenigsegg Regera is the royalty of the hyper cars; its Swedish name meaning “to reign”. With three electric motors and a 5.0liter twin turbo V8 engine, this swift car hits 62mph in 2.8 seconds and 249mph in 20 seconds. The Regera is lightning fast. 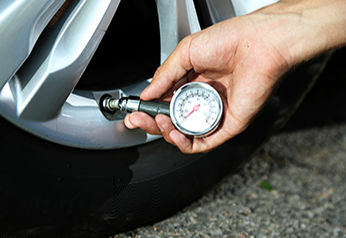 Each rear tire receives power from its own electric motor as the car accelerates. The V8 engine motor kicks in when the car reaches 30mph. With a combined 1800bhp, the Regera is exquisite. Aesthetically, the Regera is based on the foundations of its predecessors however aerodynamics and down pull have been improved. The interior of the Regera boasts a long-overdue cockpit featuring leather, Alcantara and carbon fiber. The Regera creates a classy atmosphere to drive in. When Lamborghini created the Reventon, they took the basics of the Murciélago LP640 and improved it. The result was a masterpiece. To keep the car cool while racing at ridiculous miles per hour, the Reventon follows the design of an arrow helping it guide air towards the 12 cylinder callipers and the carbon brake disks. The interior of the Lamborghini Reventon provides the driver with the ability to change information displays with a tap of a button. The driver can do this while enjoying the smell of leather mixed with aluminium, carbon and Alcantara. To mimic aeronautics, the G-Force meter shows off the car's acceleration, drive force and braking. But what about the performance? 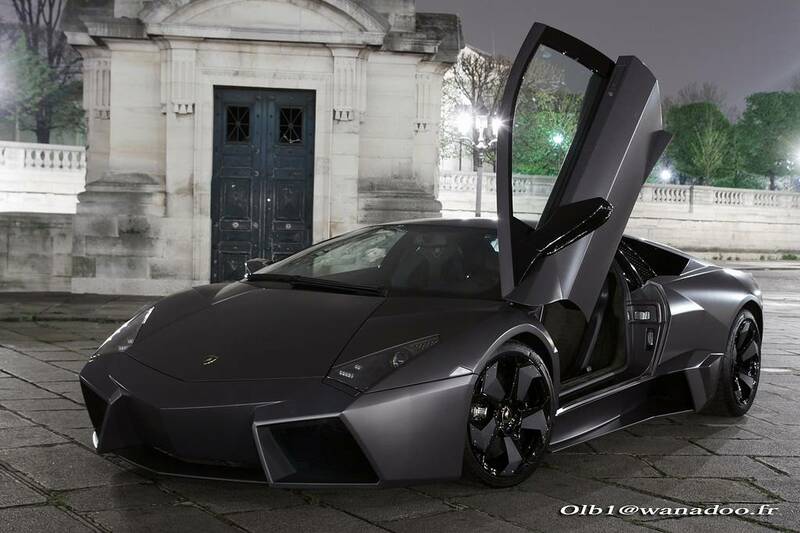 Well the Reventon has a 12 cylinders V-12 engine and a top speed of 205mph. The engine allows the Reventon to show off 661bhp and 487lb-ft of torque. With only 20 of these cars built, the Reventon is a sight to be seen, a sound worth hearing and a price worth paying. Without fail Lamborghini continues to produce outstanding quality supercars. The Lamborghini Sesto Elemento is no different. The bar continues to rise with each Lamborghini car. The Sesto Elemento, meaning sixth element which also translates to carbon on the periodic table, has mastered the use of carbon fibre. 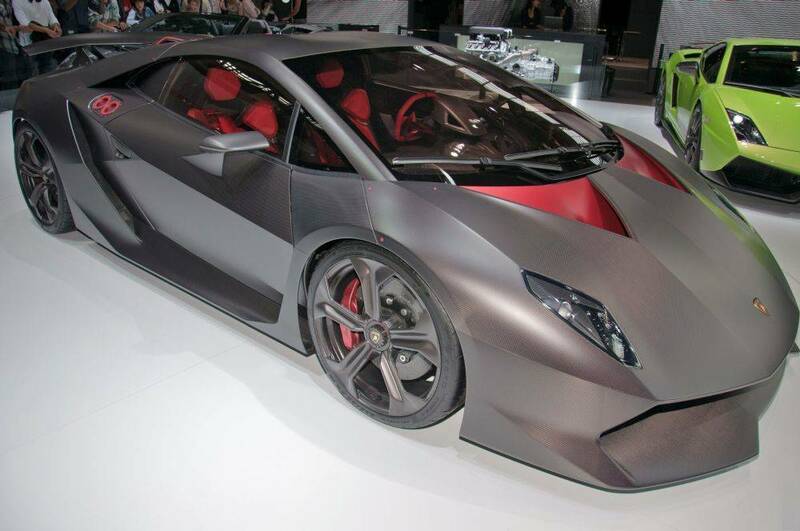 The body of the Sesto Elemento is made up of carbon fibre with a matte finish making this car both expensive and light. This fierce and futuristic looking car shows off a variety of spoilers, air vents and an open rear end for spectators to marvel at the transmission and exhaust system. Its unique design is a successful deviation from the standard Lamborghini style; however, it has paid off. With its 5.2litre V10 engine, this modern day batmobile goes from 0-62mph in 2.5 seconds. The performance of this car is electrifying. It reaches 398lb-ft of torque at 6500rpm and a top speed around 200mph. 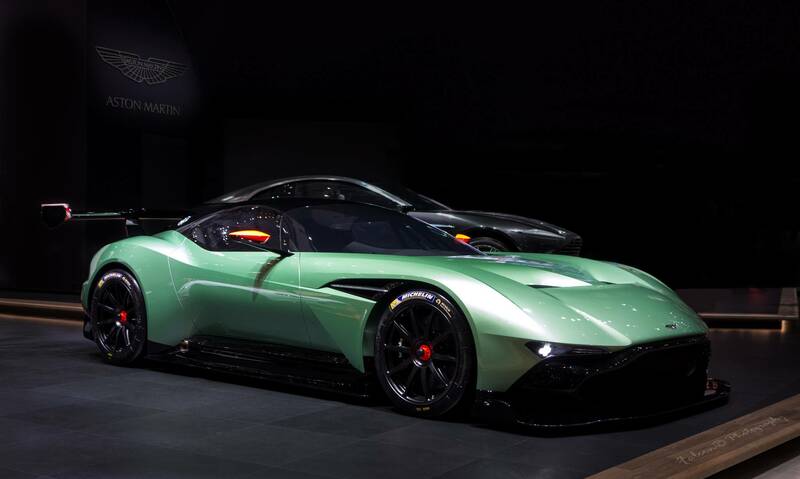 The Aston Martin Vulcan is a hyper car designed only for the racing track. Its 7.0liter V12 engine pushes over 820bhp with a 575lb-ft of torque at 6500 rpm a vast improvement on the Aston One-77. For any adrenaline loving driver, the Vulcan is a sure thing. The braking system of the Vulcan is facilitated by Brembo racing calipers that cause all four sides of the car to pull the car to a fast halt. The driver of the Aston Martin Vulcan experiences great traction control and adjustable anti-lock braking power. Buyer of the Vulcan receive the phenomenal opportunity to take their car onto a world famous race tracks to explore the car’s performance and experiment with their driving capabilities. With only three Vulcans worldwide, this modern race horse is well worth the investment. While the Bugatti Veyron Super Sport is not as limited in its edition as its competitors, a small 300 cars have been built keeping it popular yet elite. Bugatti applied customer preferences and knowledge on the Veyron together resulting in a car whose power could be felt in everyday normal driving. The Veyron Super Sport loves its corners working with the driver to ace fast corners while maintaining steady control. The car is a dream to drive. Not only does it corner beautifully, but it also breaks remarkably well under a firm foot. The Super Sport reaches a stunning 268mph top speed under 882lbs of downforce. With four turbos, seven speed dual clutch gearbox and two V8 engines the Super Sport was declared the world’s fastest car for use on public roads in 2010. 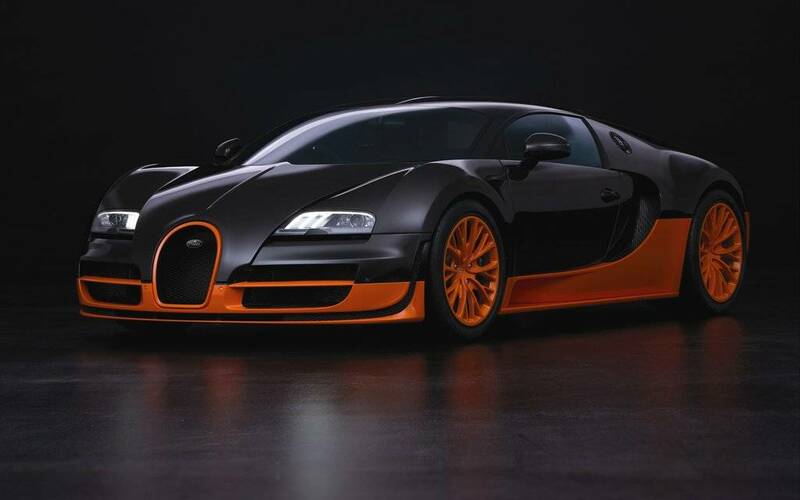 Fortunately for its drivers, the Bugatti Veyron Super Sport races faster than a bullet and handles confidently. In celebration of their 60 years of successful business within America, Ferrari decided to honor America with her own highly exclusive Ferrari, the Ferrari F60 America. Ferrari will produce ten of these cars which understandably were bought in the blink of an eye. 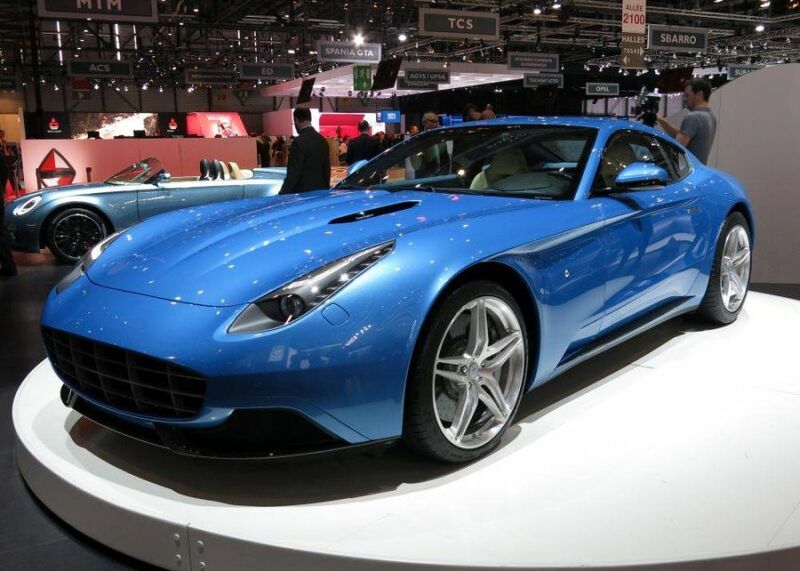 The F60 America was inspired by the F12 Berlinetta. While based on the F12, the F60 America sports several differences in appearance starting with a fully revised front and back exterior. For a difference, Ferrari removed the roof leaving the F60 open with the option of a cloth cover that will remain intact provided the car does not exceed 75mph. A 6.3liter V12 engine powers the F60 America with 730bhp and 509lb.ft of torque. As the driver powers through the seven speed dual clutch transmission, the car races from 0-60mph in 3.1 seconds. Its top speed is that of 210mph. 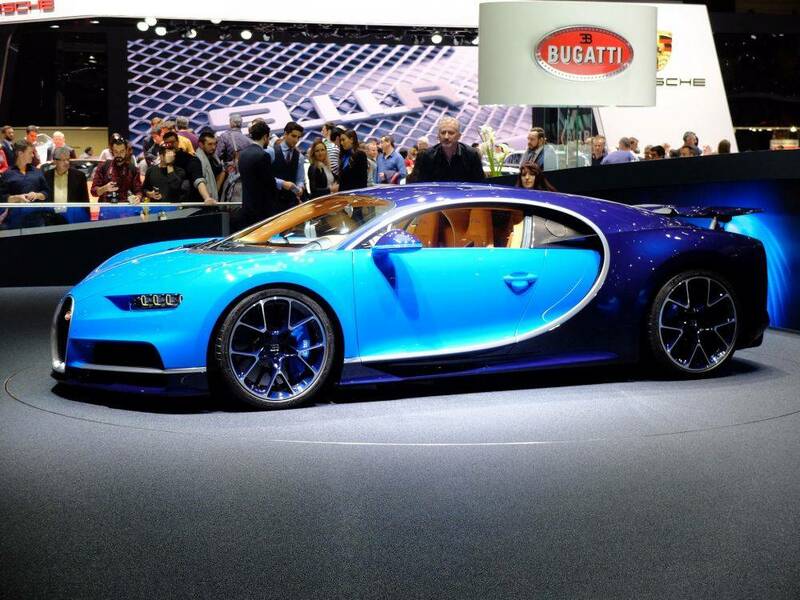 The Bugatti Chiron is a rocket on wheels. With its 8.0litre four turbo powered W16 engine the Chiron blasts out a 1500bhp and 1180lb-ft torque. This rocket of a car claims a top speed of 261mph although the speedometer displays 310mph. The Chiron is the successor to the Veyron and what a successor it is. With a larger, wider, and broader chassis, the Chiron is more attractive than the Veyron. The Bugatti badge is offset with LED headlights while aerodynamics further accentuates the car’s performance and appearance. Under the hood the Chiron holds its incredible W16 engine, exhaust system and a seven-speed transmission with automatic dual clutch. The Chiron blasts from 0-62mph in a fantastic 2.5 seconds roaring with sheer power leaving spectators marveling at the sight and sound of this masterpiece. Furthermore, it boasts five drive modes namely automatic, autobahn, handling, lift and top speed. The driver can adjust the modes of the car at the push of a button on the steering wheel. Overall The Chiron focuses on providing its driver a ride from heaven. After four years of laying low Pugani launched the new Huayra BC at the Geneva Motorshow 2016. They Huayra BC was named after its loyal customer, Benny Caiola, and is the most powerful track car Huayra has built. Only 20 cars have been released out of production. Aggressive in both appearance and performance, the Huayra BC sports a AMG 6.0litre V-12 engine with a whopping 789hp and 811 torque power. 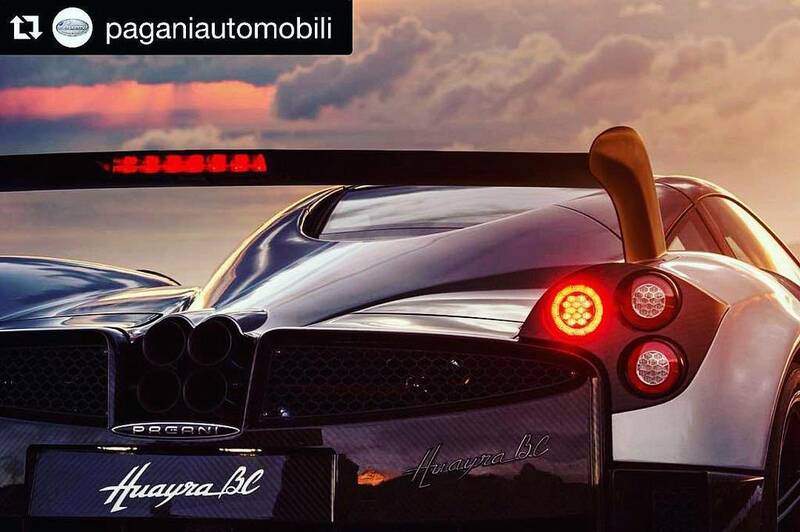 The Huayra BC is Pagani’s most innovative car that will form the base of future Pugani cars. Thus the goal of the Huayra BC was to be the lightest globally homologated hyper car. 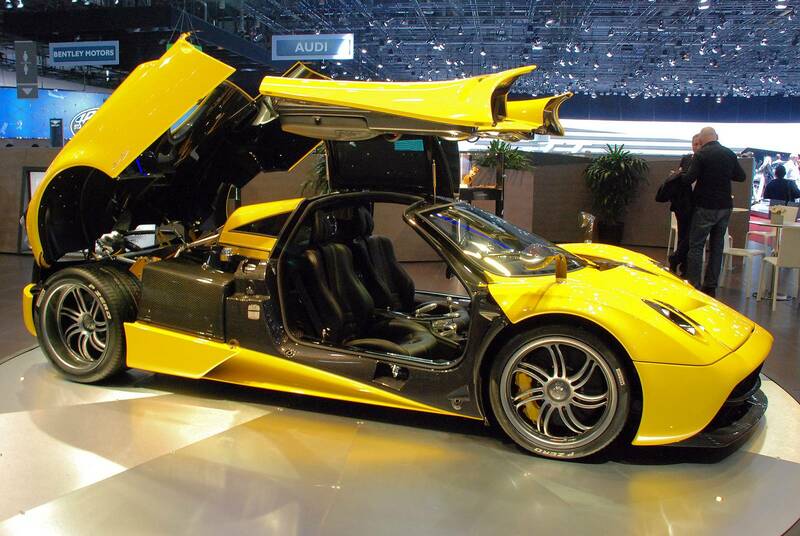 The Huayra BC took inspiration from motorsports for its chassis and suspension system. It contains a new automated manual transmission (AMT). This transmission holds seven speeds, an electrohydraulic actuation system and revised clutch-control making it 40 percent lighter than the average car. Flavio Manzoni holds LaFerrari FXX K in high regard considering it to be the greatest achievement for CS to date. This exquisite car pushes Ferrari’s racing standard of cars toward future boundaries. The FXX K is a limited track race car hitting 1035bhp thanks to its 6.3litre V12 engine and 187bhp electric motor. Along with this engine, the race car is fitted with new camshafts and a thundering exhaust system. The FXX’s vertical and rear fins are a sight to behold, a feast to the eyes. Besides that, they serve in assisting with aerodynamics pushing the car closer to the sonic boom. This is all beautifully packaged into four driving modes: qualify, long run, manual boost and fast charge. Drivers also have the option to call up the Slide Slip Angle Control traction technology. Thus the FXX K tears down the straights of the race track while turning corners with exquisite precision and control. 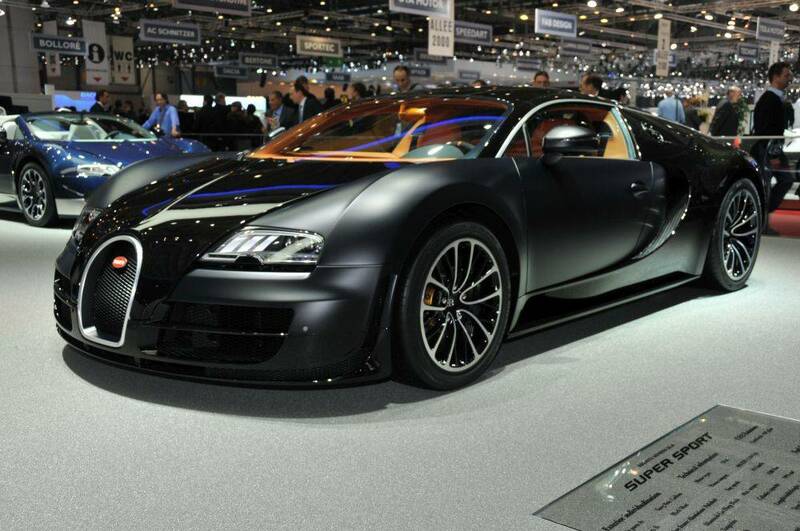 The Mansory Vivere Bugatti succeeded the Vincero more on appearance than performance. The focus was predominantly on improving the face of the Vincero and so the Vivere was born. Both the exterior and the interior were given a facelift increasing the car’s luxury up several notches. The Mansory Vivere boasts a shortened yet stunning bonnet with its contrasting black apron. The modified wings and LED lights further enhance the car while it maintains its V. The car is breathtaking. Larger air outlets, developed side skirts and a strong carbon fibre finish emphasize the car’s aerodynamics while providing the right amount of cooling to the car. Five double spoke wheels add enticing finishing touches to the stunning Vivere. On the inside the Vivere received another detailed facelift. With additional LEDS in the seats, doors and instrument panels the interior springs to life emphasizing the beauty of the carbon fibre and leather seats. Not many supercars provide buyers with the option of adding their favourite gems into their car’s LED headlights. The Lykan Hypersport is the exception flaunting 420 diamonds in its Titanium LED Blades or the gem of the buyer’s preference. Astonishing! As if the diamonds were not enough, Lykan went on to include gold stitching as well as titanium and other preferred gemstones into the interior of the Hypersport. 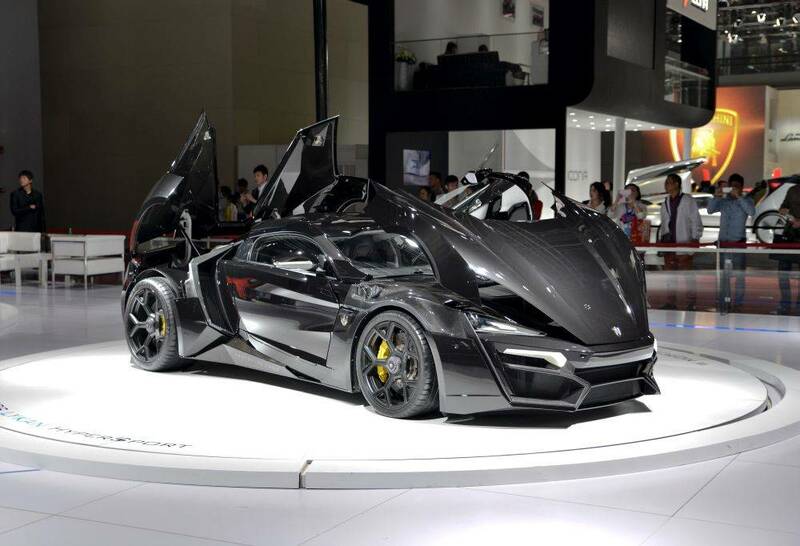 When you buy a Lykan Hypersport you are buying style and class as well. It’s no wonder that only seven cars were produced. The mystery of the Hypersport is in the struggle for popularity. The V shaped angle of the interior was inspired by the Arabic symbol for 7 which is deemed to be a lucky number. The enigmatic interior of the car is carried by the 3.7liter twin turbo flat six engine featuring 770hp and 737lb-ft of torque. With a top speed of 245mph the Hypersport moves from 0-62mph in 2.8 seconds. To commemorate their 50th birthday in May 2013, Lamborghini released four Venenos, three for sale and one as a demo. The Veneno is based largely on the Aventador LP700-4 borrowing its carbon fiber monocoque, aluminum front and rear sub frames, and most of the carbon fiber interior. Powering this beast of a car is the 6.5liter V12 engine that produces 740bhp in comparison to the Aventador’s 691bhp. This brute power is executed with the assistance of a seven speed gearbox and a single clutch automated ISR transmission. As the driver swiftly swaps between the gears, this brute car roars until it caps at a top speed of 221mph. 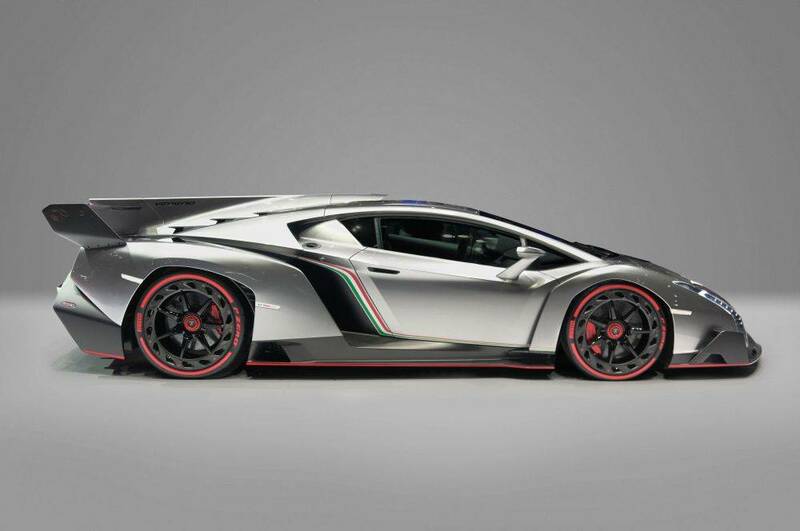 The Veneno was named after the strongest, most aggressive fighting bulls known as Veneno. This muscle car lives up to its name in appearance. Previously Lamborghini made slow subtle changes to the appearance of their car but with the Veneno they went all out. Everything about the Veneno declares brute power and masculinity. In the world of supercars, luxury and elite, the Koenigsegg CCXR Trevita is in good company. The Trevita is said to be a diamond on wheels” and only two of these rare cars drive on today’s roads. The decision to produce two cars instead of three was based on the time consumption and difficulty encountered in making these cars. 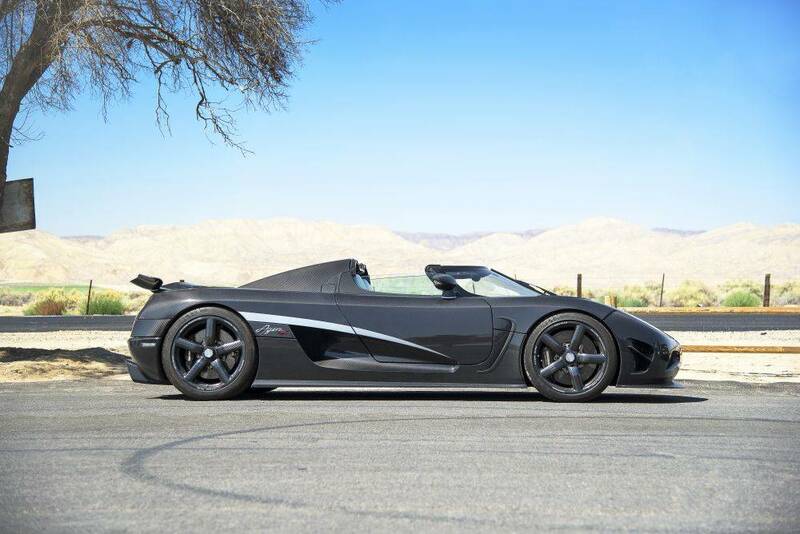 Where Koenigsegg usually created iconic cars from black carbon fiber, they decided to experiment with the carbon fiber. Koenigsegg discovered a unique coated fiber solution that turned the carbon fiber into a dazzling silvery white. The name Trevita was well founded since it means three whites. As much as what the Trevita is beautiful its performance is more so. Thanks to a supercharged twin 4.8liter V8 engine, the Trevita hits a stunning 1018bhp at 7000rpm and a torque of 796lb.ft at 5600rpm. This gem of a car reaches a top speed of 254mph going from 0-62mph in 2.9 seconds. 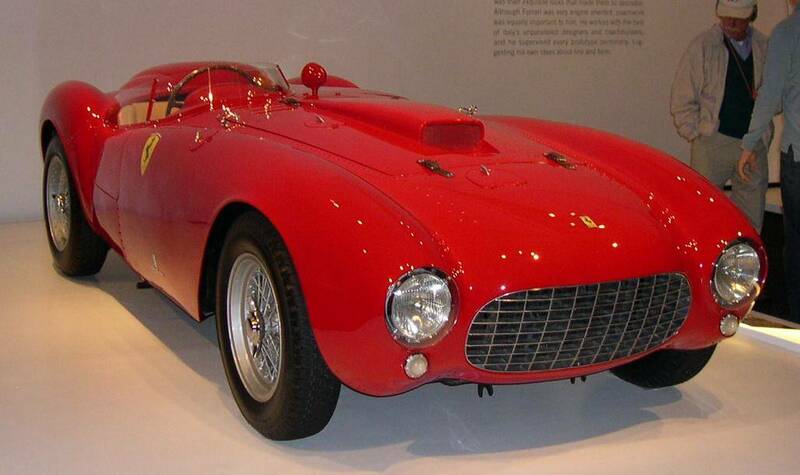 Ferrari’s 340/375 married the chassis of the 340 race car with the F1 V12 engine. The result was incredible yet not as successful in victories as one would have hoped. The 340/375 is home to the 4.5liter V12 engine, a four speed manual gearbox, four choke Weber carburetors, dual-magneto ignition and seven main bearings. The car was created with endurance in mind. The car reaches a top speed of 150mph. In the Carrera Panamerican driver Umberto Maglioli maintained an average speed of 138mph setting a record in history that has remained uncontested. In 1953, the 340/375 roared into second place at the 24 Hours of Le Mans. It has been driven by three F1 champions, traveled between Europe and the Americas and competed in several races throughout its racing career. Only three cars were produced making the 340/375 highly exclusive and sought after. 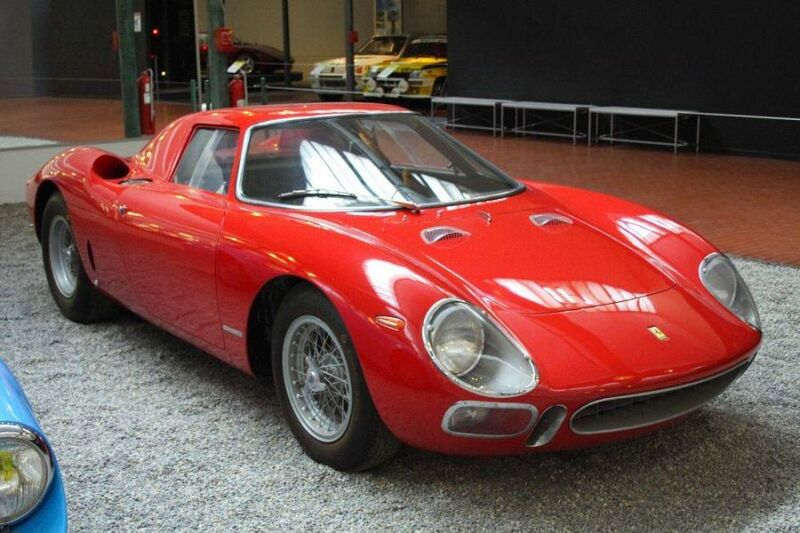 The Ferrari 250 LM was Ferrari’s first mid-engine car. This lovely car is indeed a feast for the eyes and ears of any spectator or driver. The 250 LM is truly spectacular. Ferrari designed the car to hold the V12 engine behind the driver whilst maintaining reliability and balance. The result was successful. Ferrari had done it. They had produced their first sports car that held the equivalent of a racecar while driving on general roads. In a nutshell, Ferrari took their racing car and modified it from an open car to a closed car. A roof had been introduced. Although the 250 LM never officially raced as a road car, private owners won many support races. In 1964 the 250 LM got a chance to race and won a handful of victories. 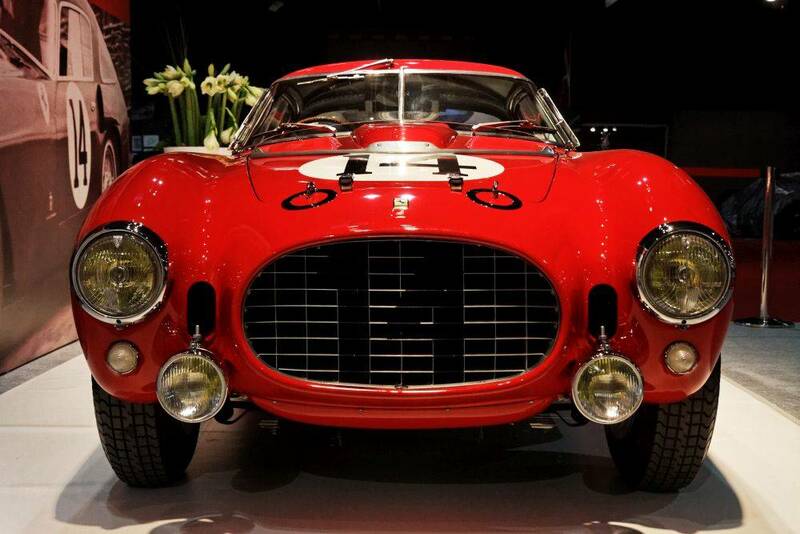 Only 32 Ferrari 250 LMs were produced. This history making car contained a five-speed manual gear box with a single dry clutch and reached a top speed of 180mph. When it comes to favorite cars, the Testa Rossa is close to Ferrari’s heart having been one of their most successful racing cars on the racetrack. This elegant yet unorthodox car causes waves of nostalgia to crash over its viewers and drivers. Of the 22 models released from production, 19 were launched into international championship races. The Testa Rossa won ten of these races between 1958-61. Under the hood the Testa Rossa boasts 128 LM SOHC V-12 engine at 300 bhp at 7,200 rpm. With a four speed manual gearbox, this petite yet powerful car could hit a top speed of 161mph and get from 0-60mph in a matter of 6 seconds. When building the Testa Rossa, Ferrari chose to use reliable technology and engineering by choosing the SOHC V12 engine, old versions of the drum brakes and a chassis similar to that of the 500 TR. This worked in Ferrari’s favor since other competitors were experimenting with newer technology. The results – a champion racecar, a legend, and a modern day collector car. The sensational and scandalous 1954 Ferrari 375 Plus was sold at the Goodwood Festival of Speed auction for $18.4 million. This historic car competed in racing events such as the 24 Hours of LeMans, Mille Miglia and Silverstone races. The 375 Plus was fitted with a 4.9liter V12 engine that powered up 330bhp at 6000rpm into an aluminium barchetta body. A four-speed manual gearbox helped drivers race ahead of other racers on the track. What makes this car scandalous is the dispute of ownership that was resolved six years ago. The 375 Plus received the nicknames: Le Monstre by the French and Fearsome Four-Nine by the British. Only five of these cars were produced. 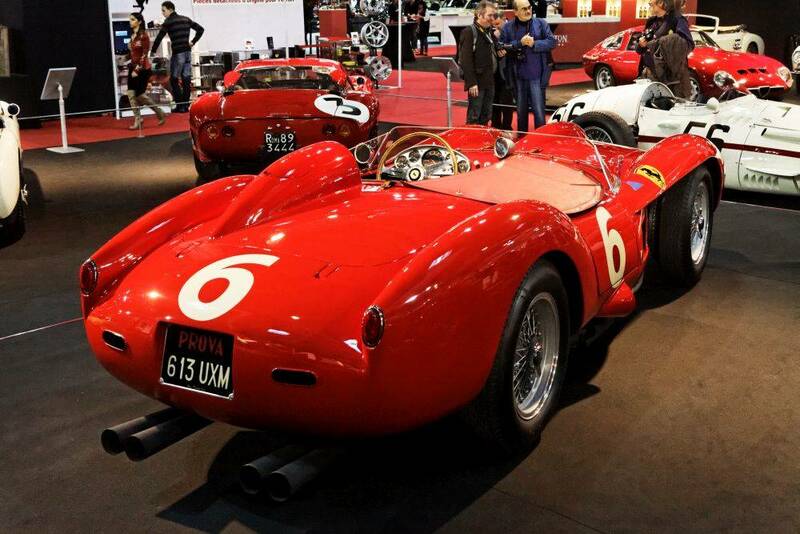 This incredible car is regarded as the most powerful and important racing Ferrari of its era. Rare doesn’t begin to describe the stunning Ferrari 410 Sport race car. This legendary car was created with one purpose in mind: to compete in the Carrera Panamericana road race in Mexico and was first raced by Carroll Shelby. 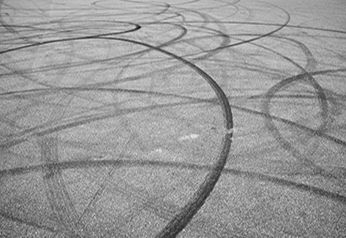 This famous car definitely left a mark in Ferrari history. Taking into consideration the nature of the Mexican race, Ferrari tailor-made the 410 Sport to succeed. The 410 Sport held a low center of gravity, a rear suspension to channel power close to the ground and drum brakes used to quickly reduce high speeds. Its 4.9liter V12 engine boasts 380bhp and 403ft-lbs of torque at 5000rpm. Although the 410 Sport did not compete in the Carrera Panamericana it did compete in other races. World Champions and other racing drivers who experienced the car, praised it for its power and traction. The 410 Sport was a dream of a race car. With only three cars produced, the Ferrari 275 GTB/C became an irresistible race car. Its limited edition was not the only characteristic that made this car stand out from among its competitors. With a 3.3liter V12 engine and a 320bhp the Ferrari 275 GTB/C was light and fast. Its top speed reached 160 mph while it took 6 seconds to reach 60mph. Although a lot similar to the 250 GTO model, the 275 GTB/C contained more brake ventilation than its predecessor. This incredible car ushered the end of wire wheels for racing due to the stress caused on the spokes of the wheels by the power of the engine and the grip of the tires. 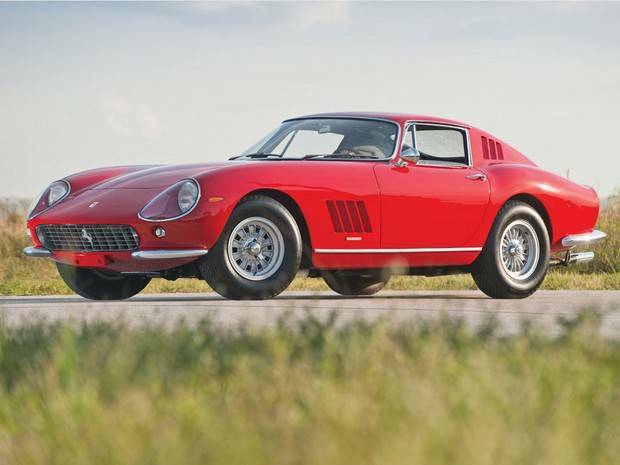 The 275 GTB/C featured a transaxle gearbox and an independent rear suspension. Disc brakes were fitted to this racing car giving it the ability to break more effectively. Regardless of era or age, the 275 GTB/C is still one of Ferrari’s most beautiful racing cars. It was in 1934 in preparation for the International Eifel Race at Nürburgring where a team of young men racing a white Mercedes-Benz W25 wrestled with how to get their race car one kilo lighter than the required 750kg. Finally, Alfred Neubauer requested that the car’s paint be removed. 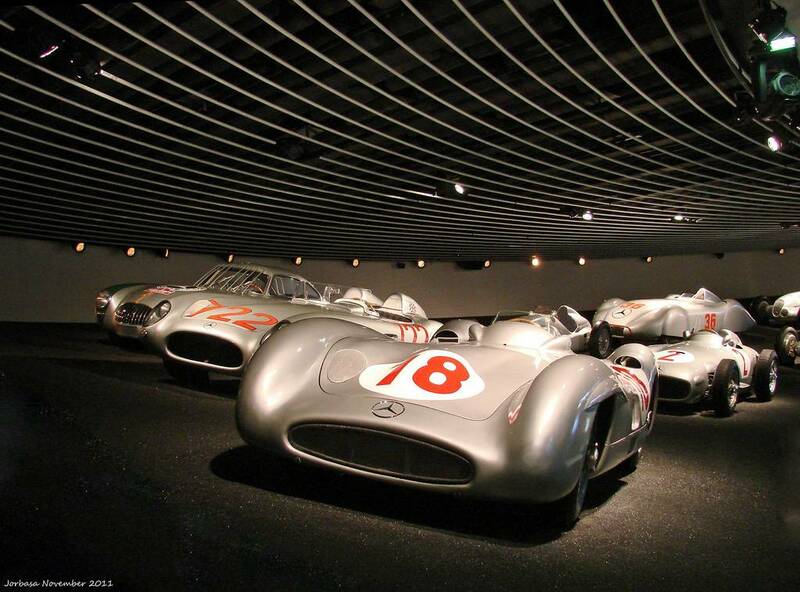 Not only did this win the race but it also produced the Silver Arrow nickname for the Mercedes-Benz racing cars. The Mercedes-Benz W196 Silver Arrow was produced in 1954 to redefine the racing standards becoming one of the most successful racing cars since WWII. Taking inspiration from aircraft, the engineers worked on the principle of direct injection. As a result, a smaller engine with less fuel consumption and weight came into be. By the time the engine was complete it reached an incredible 8500rpm. It wasn’t long before the W196 became every Formula 1 driver’s dream race car. It was a beast and world champion. No wonder it is a collectible. On August 14, 2014, the Bonhams’ Quail Lodge Auction in Carmel, California sold the stunning 1962 Ferrari 250 GTO Berlinetta for $38.1 million making it the most expensive car in history. The legendary 250 GTO Berlinetta is a racing legend winning a variety of races including the Tour de France automobile in 1963. Only 39 of these racers were produced by Ferrari thus their exclusivity adds to their collector value. The 250 GTO set the bar for future GT sports cars. It was a combination of style, power and speed while ensuring phenomenal engineering and being highly exclusive. While having an interior that by today’s standards is more simplistic, the racing intentions are evident. The steering wheel is simple while flaunting a functional instrument panel. This car was bred for racing. 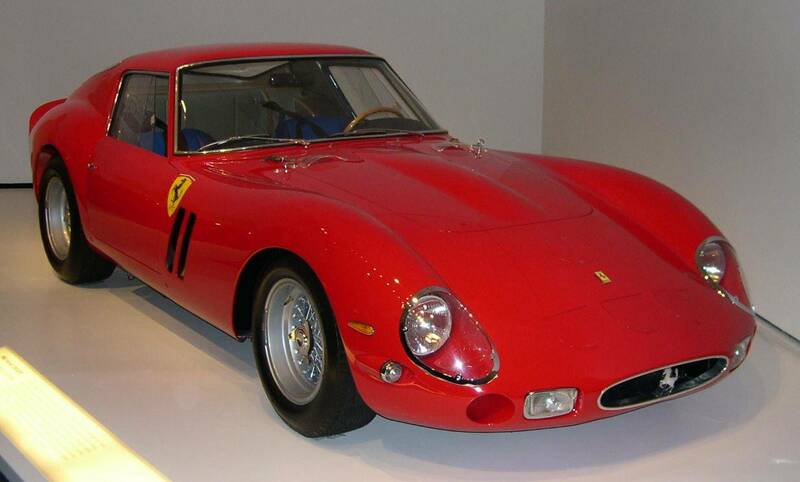 The 250 GTO contains a 3.0liter V12 engine known for its reliability in racing. With a power unheard of in the 1960s, this car roared a whopping 302hp and 246lb-ft. As a result, the 250 GTO took 5.4 seconds to go from 0-60 miles and capped at an outstanding 174mph.